Secure personal locker storage saves time, improves organization, and can even boost morale. See how we can help. Police officers and military personnel have a tough job. Not having a secure place for personal belongings and gear shouldn’t add to their daily stress. We’ve partnered with Spacesaver to offer secure lockers that go above and beyond storage. 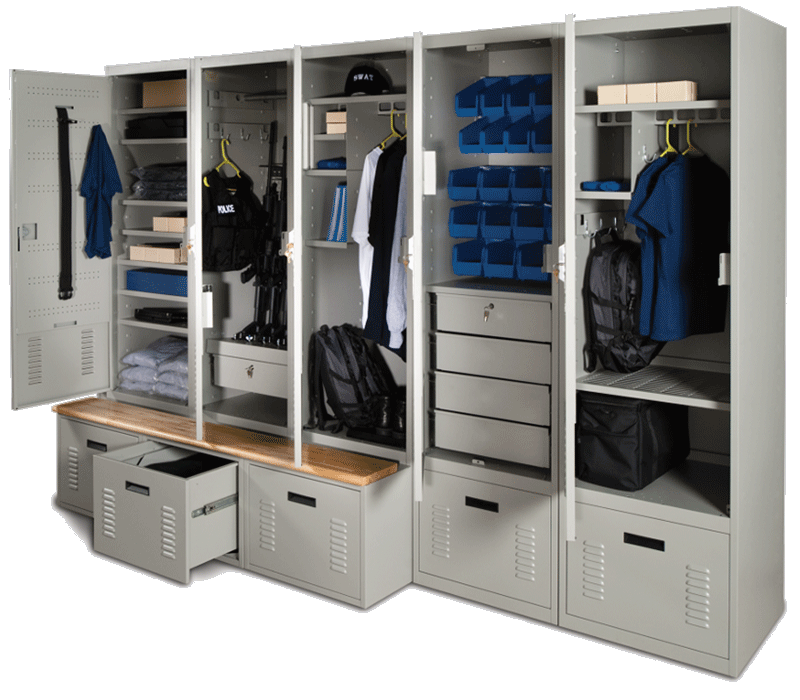 Engineered with the military, public safety, and a variety of other industries in mind, our infinitely configurable and customizable lockers meet three different storage needs. Take a look at our three locker offerings: Personal Lockers, Gear Lockers, and Evidence Lockers. Keeping personal belongings safe and secure—uniforms, vests, boots, and other items. Maintaining quick and easy access to equipment and supplies used by teams or multiple people. Offering communications equipment and other sensitive assets additional security. When they’re in the field, officers are aware of their gear at all times—but where does that go after their shift? Well, we’ve seen it all. Some officers keep gear at their homes or in their vehicles because there just isn’t space at the department’s headquarters to keep it anywhere else. Spacesaver’s FreeStyle® Personal Storage Lockers provide a way to securely store equipment, uniforms, weapons, and other items. With the ability to add options such as locked compartments, air ventilation, drawers for boot and body armor storage, electrical integration, and benches for sitting space, these lockers allow for ultimate customization to meet the needs of everyone in your department. 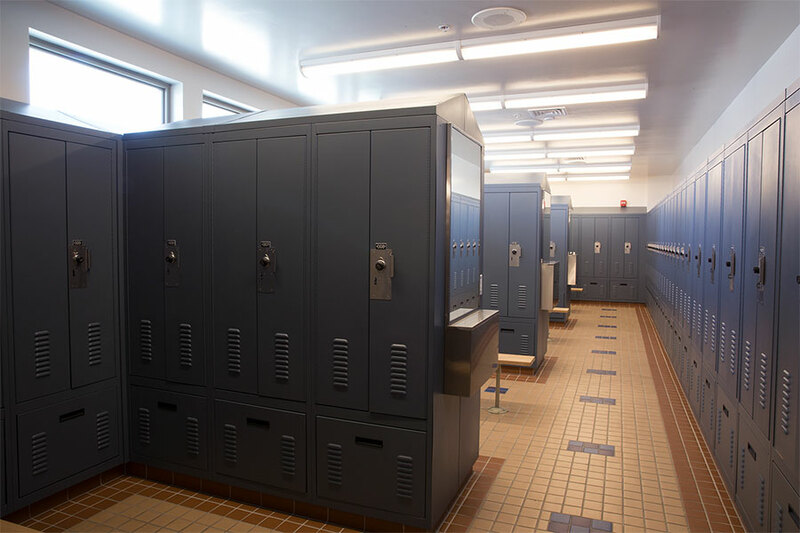 In trying to create an updated, comfortable space for their expanding team of officers, Marin County’s Twin Cities Police Department came to us with a challenge—to fit just under 80 lockers into the existing footprint of their Men’s and Women’s locker rooms. By changing the depth of the lockers and evaluating the layout of both rooms, we were able to fit 78 lockers into the two spaces, each with electrical integration. Sixty of these were lockers with double doors for easy access, and two in each room were ADA compliant. 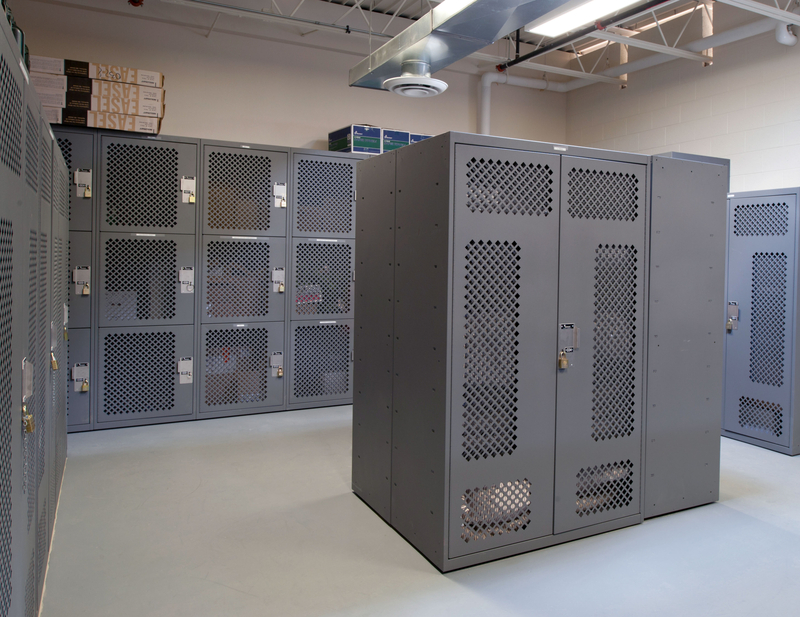 Secure and accessible gear lockers are essential to military and law enforcement agencies. The versatile Tactical Readiness Locker by Spacesaver® provides flexibility and improves organization for rapid deployment. To see how our lockers have been utilized in actual police departments, check out our Law Enforcement Market.